John Godsey, a former City Councilman, has served on the Utilities Commission and Joint Water Commission since 2004. He currently serves as Chair for the Utilities Commission, the Joint Water Commission and the Barney Reservoir Joint Ownership Commission. He also represents Hillsboro on the Tualatin Basin Water Supply Feasibility Study Policy Steering Committee. 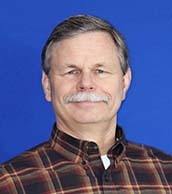 John Rosenberger began his term of service in August of 2010. A Hillsboro resident since 1975, Rosenberger is the former Director of Washington County Department of Land Use and Transportation. He is now retired and volunteers regularly at St. Matthew's Food Bank. David Judah is the Commission’s newest member. He works in management and sales for a Forest Grove high-tech company. Judah is a lifelong Hillsboro resident. Kevin Hanway is the Water Department Director. He is responsible for reporting Water Department projects and activities to the Utilities Commission for approval, and for implementing Commission directives. Hanway is in charge of Hillsboro’s Water Supply Project efforts and has been working with the partners on the Tualatin Basin Water Supply Project efforts for the past seven years.